Shaw's fruit & vegetable shop is based in the Lincolnshire village of Alvingham, 3 miles North East of Louth in Lincolnshire. We source our seasonal produce from a network of approximately twenty local Lincolnshire farmers and growers. In addition to this we supplement the produce from all over the UK and world (but only where necessary) via large commercial import specialists. Shaw's are incredibly proud to have worked with many of our suppliers for a number of decades and are always on the lookout for local growers to add to the seasonal product lines. We hope you will enjoy reading our website and find our product information and blog interesting and useful. We regularly post seasonal produce updates on Facebook, Twitter and Instagram and love to interact and retweet where we can. Should you require more information please complete our enquiry form and we will get back to you as soon as possible, or alternatively you can contact us on 01507 327 395. Our business is made up of two parts; wholesale and retail. For those in business such as Shops, Restaurants, Public Houses, Catering etc who require bulk produce we offer a delivery of our produce in and around the Louth area. Should you require more information please complete our enquiry form or go to our Wholesale page. As vegetable merchants based in the Lincolnshire village of Alvingham, 3 miles North East of Louth we also offer a retail shop for families to visit and purchase smaller quantities of fresh fruit and vegetables as required. Should you require more information please complete our enquiry form or go to our Retail page. Follow me through the seasons of fruit and vegetables as well as snippets of history, interesting facts and latest offers. 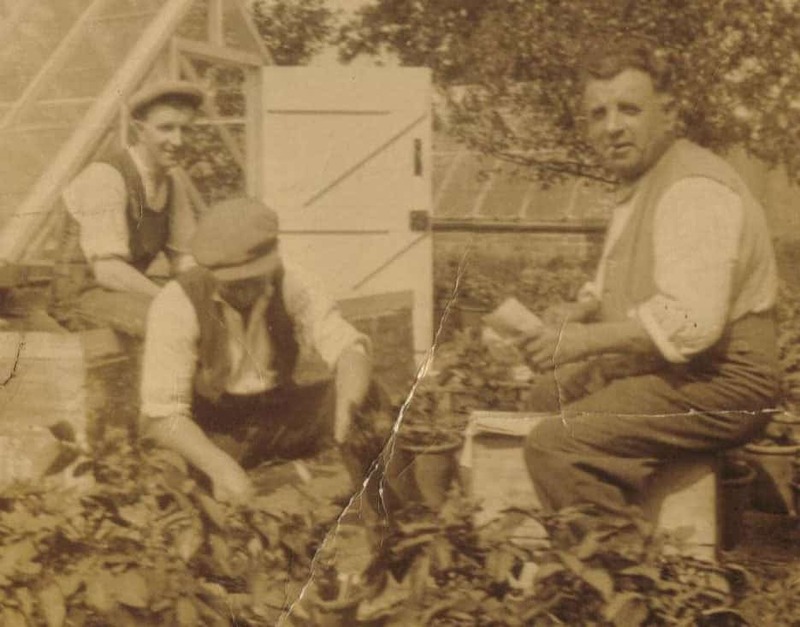 Shaw's first began in 1902 when farm labourer Charles Shaw bought Buxton House in Alvingham. There he began his very own business specialising in early chitted seed potatoes along with growing flowers, fruit, cucumbers and tomatoes. Glass houses were built to accommodate all of this produce, pictures of which can be seen in the early aerial photographs.